As Australia’s leading trainers, riders and breeders gear up for the major autumn races and yearling sales, a much bigger group are doing what they do every day of every year. The strappers, grooms, exercise riders, float drivers, office staff and so many without whom there would be no racing or breeding, carry out their jobs without fanfare or fuss. 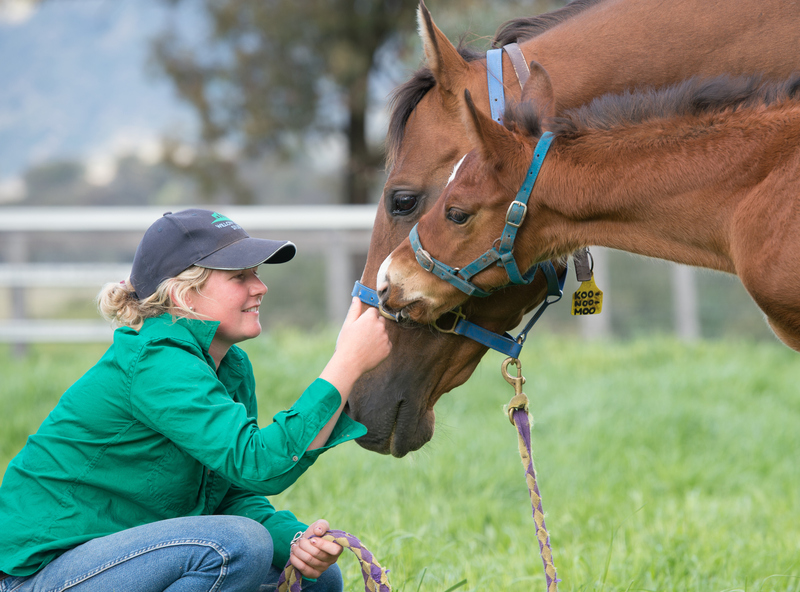 Along with those who spend night after night waiting for mares to foal, the farriers, horse dentists and those who put every spare dollar toward giving ex-racehorses a comfortable retirement, they are largely unseen and rarely acknowledged. To these vital contributors to the industry, Racing Australia and Thoroughbred Breeders Australia offer recognition for their tireless work through the Godolphin Stud and Stable Staff Awards. Now in their fourth year in Australia, the awards offer valuable cash prizes and trophies in seven categories, with an overall award for Thoroughbred Excellence. Winners have come from every area of the racing and breeding industry, most states of Australia, and from stables and studs both large and small. Darren Weir, who oversees Australia’s largest training operation, and who had three of his staff among the 2017 finalists, is once again right behind the Awards. “It doesn’t matter if you have a big stable or a few horses, the quality of your staff will make the difference between winning and losing,” Weir said. Melbourne trainer Colin Little has enjoyed outstanding success with horses such as El Segundo, who can count the Cox Plate among his four G1 victories. “We are one of the smaller stables here at Caulfield, but it still couldn’t run without great staff,” Little said. Trainers, owners, managers and colleagues of any worker in the industry are encouraged to enter them for the awards, for which nominations close at midnight on Monday, 19 February.